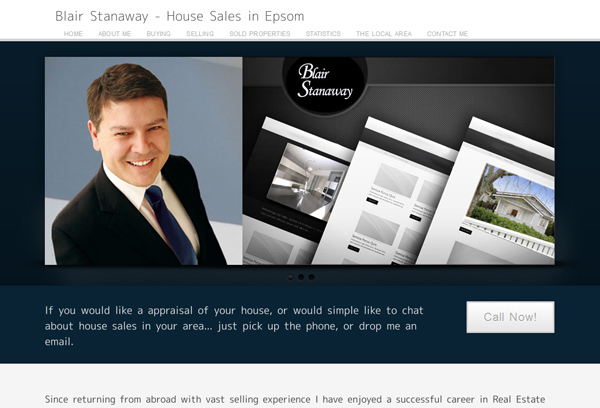 This site is specifically styled toward the business person. Dark colours and clear line create the look of efficient and success. The look is purposefully masculine in nature to appeal to a certain personality type. 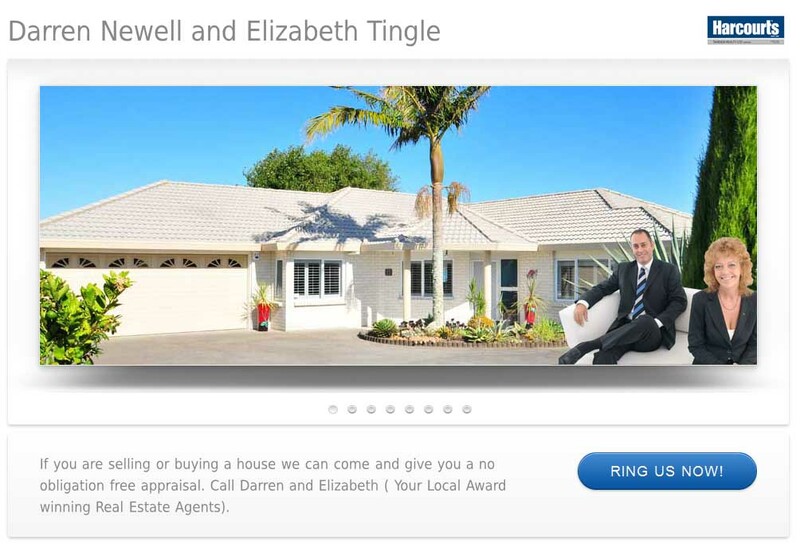 Along with the look of the the site Blair has chosen to have a domain name other than his own i.e he uses www.housesalesepsom.co.nz instead of www.blairstanaway.co.nz The domain is related to the area and the service offered to help with search engine optimisation. 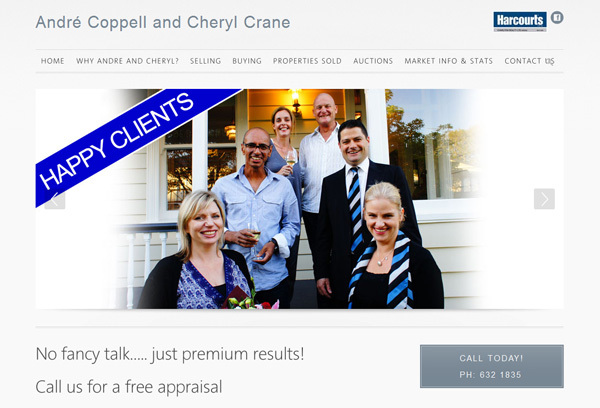 Andre and Cheryl’s site is an authority website. 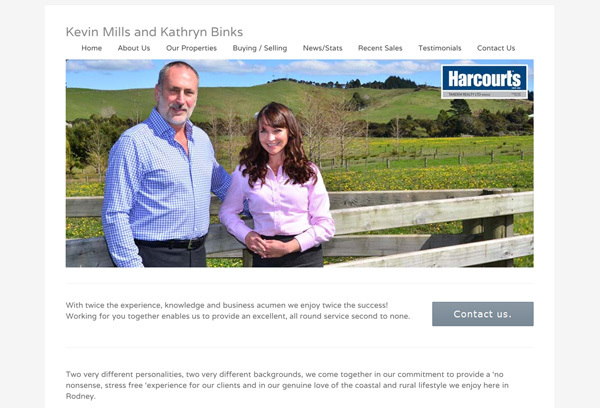 It has a vast amount of information about the houses available, the area around those houses, themselves and what they and Harcourts are all about. There are many features in built into the back end of the website and with the combination of the virtual secretary and and the fully featured CMS systems they are able to make many changes very quickly. 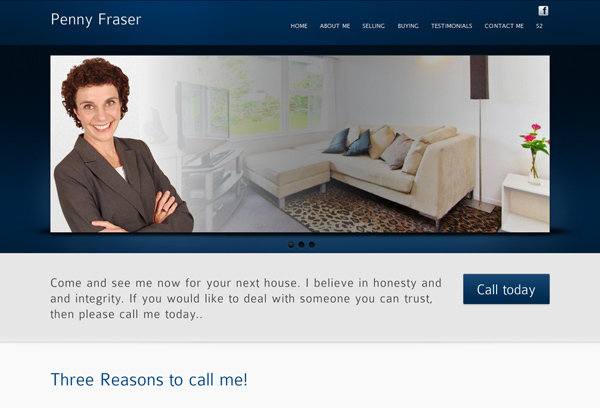 Pauline’s site is another authority website which is full of information about the area and her own brand of information. 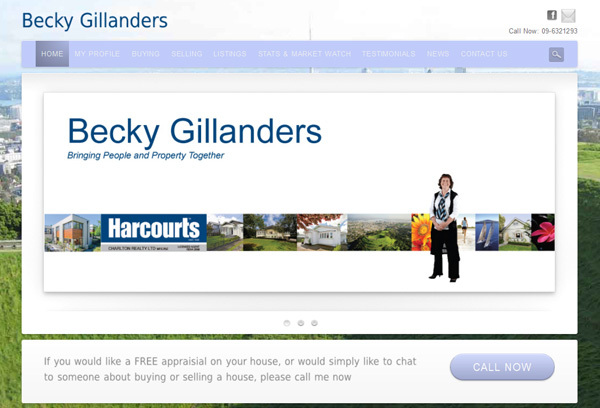 The site has many links to outside information and articles to improve the look of your property. The idea is that if you provide information at the clients fingertips they will associate you with the knowledge they have received. 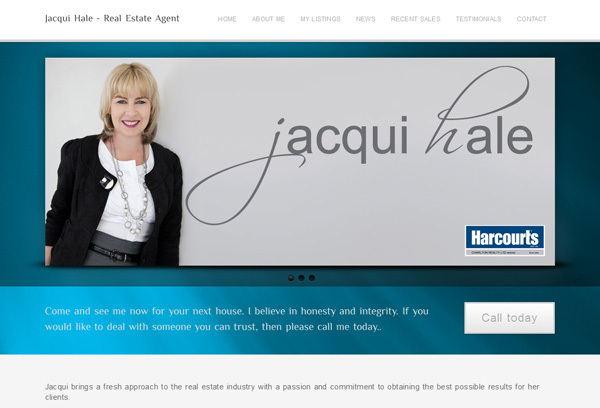 In other words, if you have an authority site it helps emphasize that you are an authority and knowledgeable salesperson in the real estate profession.